The Untold Story of Havana’s Camila Cabello. Camila Cabello has evolved into a force to reckon with ! As a member of Fifth Harmony her unique voice has allowed her to stand out as a solo artist. With hits like “Bad Things” with Machine Gun Kelly, “Crying in the Club” , and Havana she’s become a household name. However, Camila’s success is no coincidence. This is the story of how a young girl born in Havana Cuba turned her dream into reality. Karla Camila Cabello Estrabao (born March 3, 1997) is a Cuban-American singer and songwriter. She rose to prominence as a member of the girl group Fifth Harmony which was formed on the second season of the American edition of The X Factor in 2012. She then signed to a joint record deal with Syco Music and Epic Records. While a part of Fifth Harmony, Cabello began to establish herself as a solo artist with the release of several collaborations, including “I Know What You Did Last Summer” with Shawn Mendes and “Bad Things” with Machine Gun Kelly, the latter reaching number four on the Billboard Hot 100 chart in the United States. After leaving the group in December 2016, Cabello released her debut solo single “Crying in the Club” to a modest commercial performance. 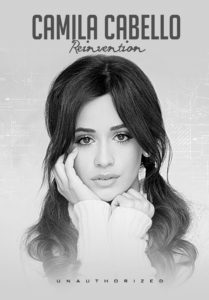 Refocusing her sound to Latin-influenced music, her eponymous debut studio album Camila (2018) debuted at number one on the Billboard 200 chart, with its lead single “Havana” topping the charts in several countries, including the United Kingdom and the United States.